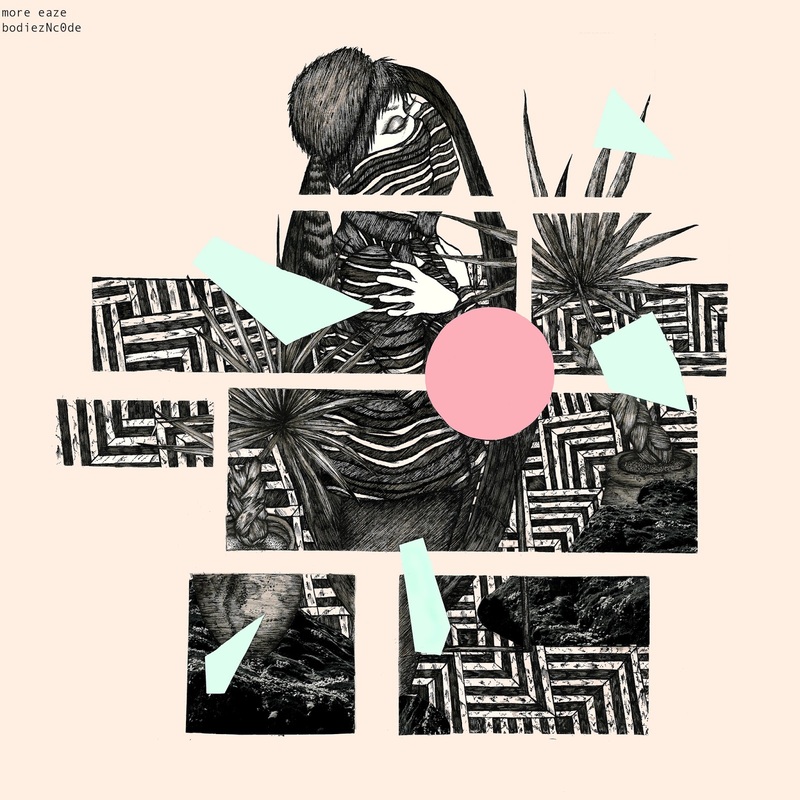 Austin, TX composer and producer More Eaze (aka Marcus Rubio) is streaming his forthcoming new album ahead of release today via The Spill Magazine. Hear & share bodiezNc0de HERE. (Direct Soundlcoud). 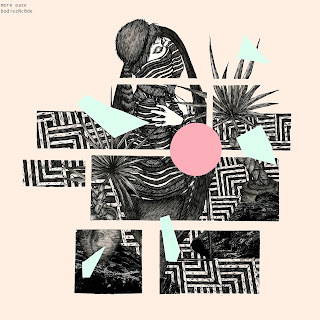 bodiezNc0de, the latest album from prolific performer, composer & producer More Eaze, is a combination of pop-oriented songwriting, process/generative compositional techniques and careful production. Simultaneously guarded & open, More Eaze’s personal lyrics address subjects as varied as the abstraction of the body, the resilience of forms and even the political disagreements between parents & their children. The music mirrors the subject matter, its emotive melodies complemented with warm strings, rhythms both languid & insistent, juxtaposed with & sometimes broken up by a variety of electronic jabs & waves. Performers on the album include Slug Christ (on “i don’t care”), Thor Harris, Dane Rousay and more. 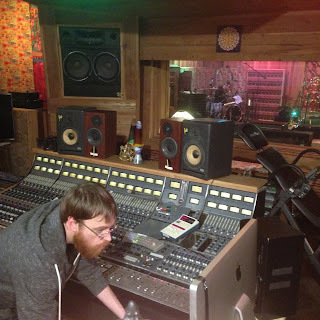 Recorded by Marcus in his home as well as at Estuary Recording Facility (Austin TX) with Evan Kaspar. bodiezNc0de will be available on cassette, CD and download on September 29th via Self-Sabotage Records. Pre-orders are available HERE. Mountain Legacy is an album exploring something fundamental to humanity: ISOLATION. The illusion of silence, which is a natural non-existing concept, is perfectly described by synthesized sounds and noises of the newly acquired band member Claudio Rocchetti (In Zaire). These sounds are missing on the first self-titled release of Deadsmoke, so now the old tracks have been enriched and new ones have been composed providing a consistent psych-disturbed synthesized sound. Six brand new tracks featuring deep guitar fuzz and growling bass take the listener on a journey through the woods, alternating lightly groovy rhythms with sludge-doom cadences. The album was recorded live by Fabio at NoLogo, a studio located near Bolzano and surrounded by nature and a cemetery. This location and the inspiring recording room, fully covered in wood, carpets and soft lights, made it possible to arrange the recording as a sort of inspired jamming session, providing feelings of isolation, freedom and nothingness. Everybody experiencing isolation and solitude on the mountain knows that the mind is constantly speaking. With a language made of noises. And the mountain itself is speaking. With a language made of slow, deep, grating, growling movements. This is what we try to represent with this album: a translation of how isolation can be felt. This is a precious legacy. 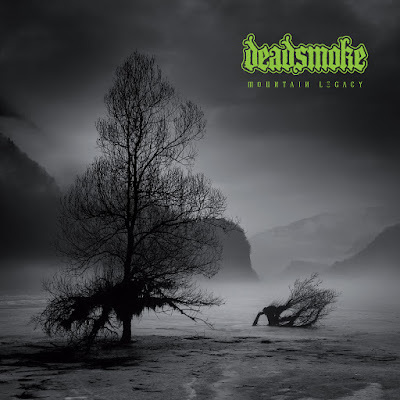 The legacy of the previous album, the legacy of the mountain. Mountain Legacy will be available on LP and download on September 29th, 2017 via Heavy Psych Sounds Records. Pre-orders are available HERE. 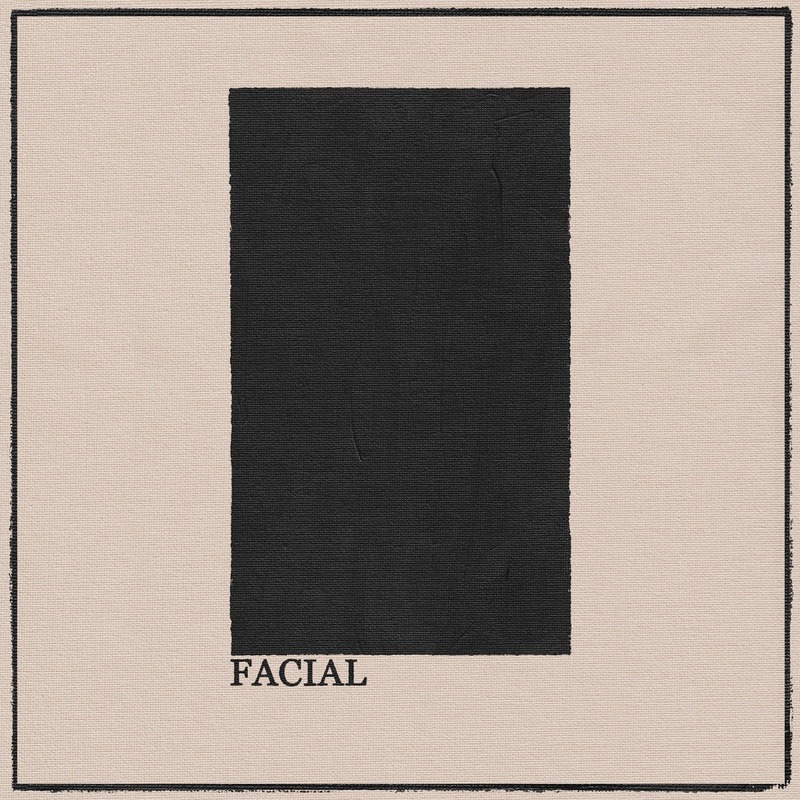 Los Angeles trio FACIAL are streaming their forthcoming sophomore album Facade ahead of release starting today via Punktastic. Hear and share Facade HERE. (Soundcloud). The band also plays a hometown album release show tonight at The Echo in Los Angeles to kick off West Coast tour dates into October. Please see all dates below. Consequence of Sound recently launched lead single "Animals" HERE. Buzzbands.LA premiered the song "Black Noise" HERE. CultureCreature shared "Go Away" HERE. Glide Magazine hosted "Disappointment" HERE. 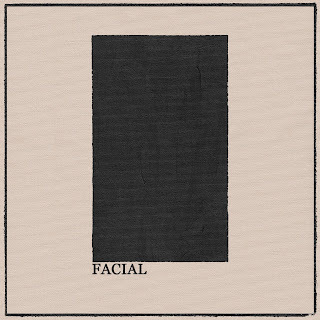 On Facial's new record Facade, the band takes a look at their city (Los Angeles), their country (U.S.A.), and within themselves, to see what kind of ugly truths lie behind the front. Inside of all of us there are things that we try very hard to conceal: animal urges, selfishness, anger, hate, envy, violence, sexuality. We push them down and paint an alternate reality on the surface: happy, caring, altruistic, confident, peaceful, benevolent. But when the discrepancy between facade and reality becomes too great, we are forced to confront the facade and to question the fabricated surface realities fed to us all. The music on this record cuts, churns, and moves. It bombards the listener, as if in attempt to disarm the defenses that we use to protect ourselves from these uncomfortable truths. Perhaps facades are necessary in certain scenarios; little white lies. We do not want to expose our weakness. We do not want to appear scared. An outward appearance must be maintained. But at some point, one must come up for air. We can't hide forever. One day we will have to unmask. Facade will be available on LP and download on September 29th via Chain Letter Collective. Pre-orders are available for digital at iTunes and vinyl HERE. Heavy Psych Sounds is proud to announce it will work with California fuzz/psych legends Nebula to reissue three of the band's most landmark offerings. Originally released in 1998, 1999 and 2002, respectively, Let it Burn, To the Center and Dos EPs comprise an essential trilogy for worshipers of riffs and heavy desert rock, and will be made available early in 2018 as special editions to mark the 20th anniversary of the band. When guitarist/vocalist Eddie Glass joined forces with bassist Mark Abshire and drummer Ruben Romano -- both previously of Fu Manchu -- they found magic together and no one before and no other band since has been able to capture that sound in the same way, though plenty have tried. 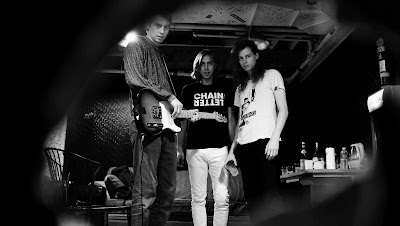 With Let it Burn, they established a place for themselves between druggy psych and forward-driving fuzz rock, and as they moved through the subsequent Sun Creature EP, their split with Sweden's Lowrider and the To the Center full-length the next year, they only grew, progressed and refined this approach into something all the more their own. The two short releases were later compiled as Dos EPs, and the flow contained there is no less pivotal than either Let it Burn or To the Center. 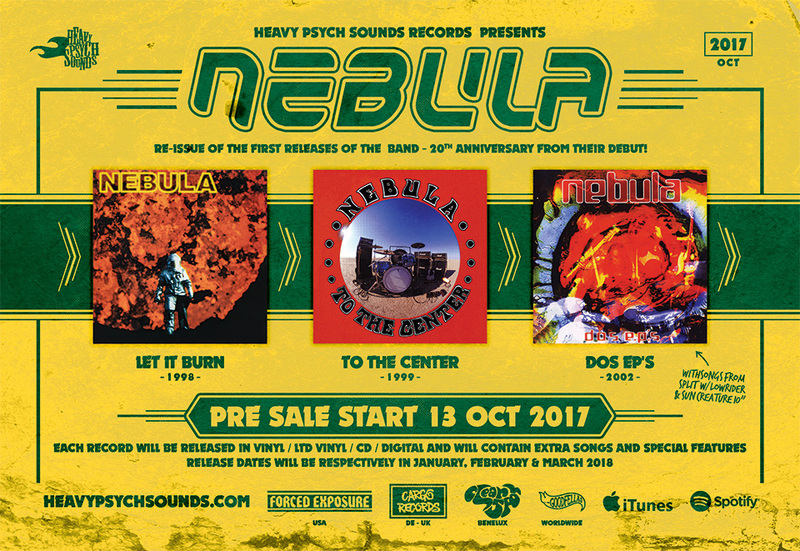 Working exclusively in cooperation with the original members of Nebula, Heavy Psych Sounds will release Let it Burn, To the Center and Dos EPs in January, February and March, 2018 in vinyl, limited vinyl, CD and digital editions, each containing bonus material, extra songs and more. Says Gabriele Fiori of Heavy Psych Sounds on working with Nebula: "It is an honor to have Eddie, Mark and Ruben come together to stand behind these three issues. These records are classics and have had a huge influence on me and an entire generation of artists and I can't wait to get them back out there for people to dig into all over again!" Preorders begin Oct. 13, 2017. 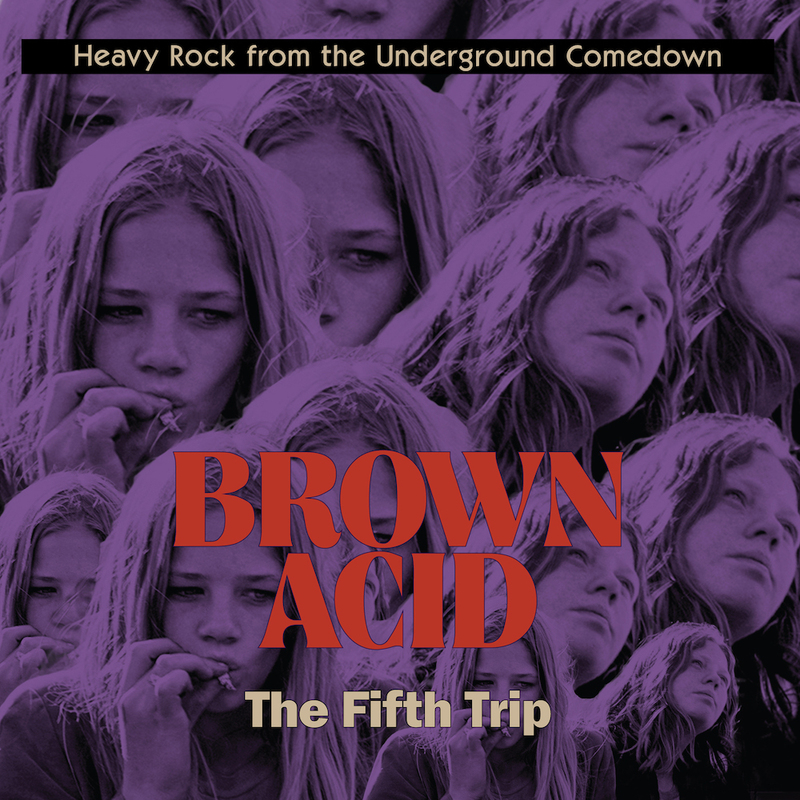 Distribution will be through Heavy Psych Sounds, Forced Exposure (US), Cargo Records (DE, UK), Clearspot (Benelux), Goodfellas (World), iTunes, Spotify, etc. Nebula have announced 2018 live dates with the lineup of Eddie Glass, bassist Tom Davies and drummer Mike Amster (Blaak Heat, Abrams), including stops at Desertfest London and Berlin with more to follow. 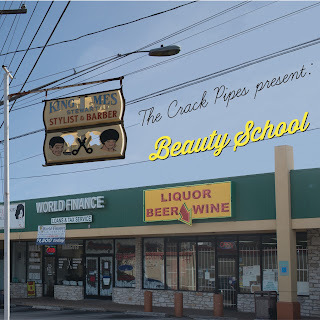 Beauty School was the third full length release of Austin garage soul band The Crack Pipes and their second release on local Austin label Emperor Jones (ran by Craig Stewart). 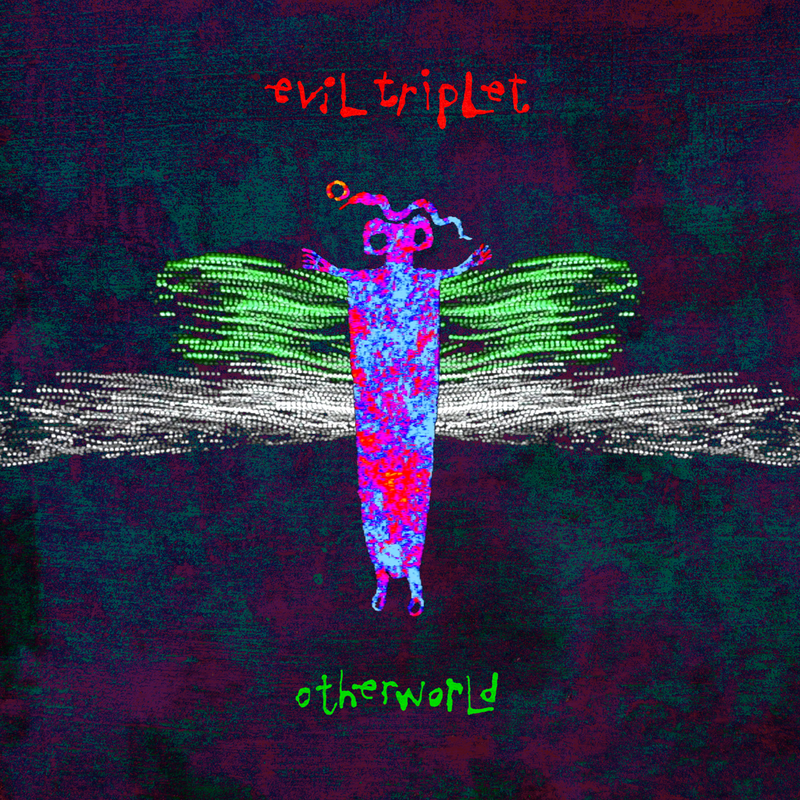 The band looked at this project as a moment to grow beyond their early 2000s garage roots and explore both more pop arrangements and experimental pieces. It is a loose concept record opening with the title track "Beauty School" which puts forward the concept that one has to teach themselves to find the beauty in a world filled with ugliness. The album ends with an instrumental reprise and birdsong. 12 years later, many of the issues touched upon still seem as relevant as ever from war and poverty in "Q & A" to racial strife in "Greensboro", but the messages of hope and love are also still relevant if not timeless. Now, for the first time ever, Beauty School is being made available as a 2xLP record. It features new cover art and has been meticulously remastered by the original audio master engineer, Jerry Tubb of Terra Nova Mastering. The original recording took place in 2004 at the first Sweatbox Studio in downtown Austin, engineered by Mike Vasquez. The sessions were produced by The Crack Pipes and Chad Nichols. Beauty School features the core members of The Crack Pipes - Ray Colgan (credited as Ray Pride - vocals, harmonica), Mike Corwin (drums, synthesizers), Billy Steve Korpi (guitars), Nick Moulos (bass), and Coby Cardosa (keyboards and percussion). Featured guest artists include J. R. Keyton (of The Transgressors - bottleneck guitar), Chad Nichols (of Enduro, The Damn Times, The Transgressors - percussion, backing vocals), Mike Vasquez (of Sweatbox Studios - horns), Ralph E. White (of The Bad Livers and solo - fiddle, kalimba), Laura B. Krause (of Knife in the Water - backing vocals), Chris Black (of Shoulders, Golden Arm Trio - contrabass, string arrangements and performance), Jeff Johnston (of Lil' Cap'n Travis, Ramsay Midwood - autoharp), and Esme Barrera and Laureta Michelle Huit (beloved scenesters - backing vocals). The Crack Pipes will soon be recording for a 2018 release to be issued on local label Super Secret Records in a limited edition. File under "Garage Rock", "Soul", "Funk", "Psychedelic". For more information, see Sonic Surgery Records section at Super Secret Records website. "We've always been inspired by great band musicians - as opposed to technical solo peacocks," Willems says. "Because that force of a band really playing together as one single unit is incomparable. At its best, it's just unstoppable." And, Monolord is truly unstoppable, on record and on stage. 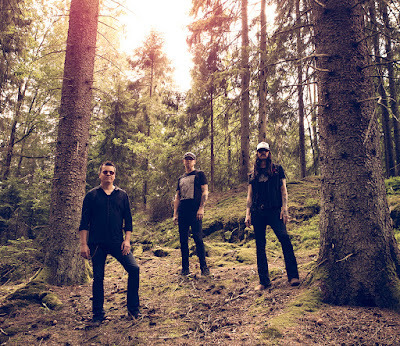 "A heavy groove that contains both bombastic overkill and a lot of dynamics is what we always aim for in Monolord; in playing, in song writing and arranging, in recording," Willems says. Album opener "Where Death Meets the Sea" perfectly exemplifies their mastery of dynamics and hooks with a driving, infectious buzzsaw riff that lesser bands would ride off into the sunset, but Monolord uses subtly to spur the song's skull rattling rhythmic core ever onward. Jäger's watery vocals glide over ominously building verses that erupt with the song's insistent refrain. Being such a tight rhythmic unit, it sounds almost like an early ZZ Top record played at half speed. "Dear Lucifer" squeals and hums with slow deliberation as Willems summons Dale Crover pummel with chasm like low-tuned toms and syncopated cymbal crashes. The album's title track is also its centerpiece, opening with a dramatic, shimmering Hammond organ intro as Jäger sings, "you are the reason that I lied/ You are the reason that I cried/ Please don't wait until tomorrow/ There's only pain, hate, grief and sorrow." Suddenly, the band kicks in with a bellowing line downtuned to B that nosedives down the guitar neck as the drums hammer down for the kill. Elsewhere, tastefully understated guitar harmonies elevate the behemoth churn of "Wormland" and apocalyptic album closer "At Niceae" simmers in a slow build of rumbling guitars and rolling drum triplets. Monolord formed in 2013, quickly recording their 2xLP debut Empress Rising, which RidingEasy Records released in April 1st, 2014. The second album, Vænir, followed April 28th, 2015. The 2-song Lord of Suffering / Die in Haze EP was issued in late 2016 amid the band's relentless touring schedule in order to tide fans over until the next full length. 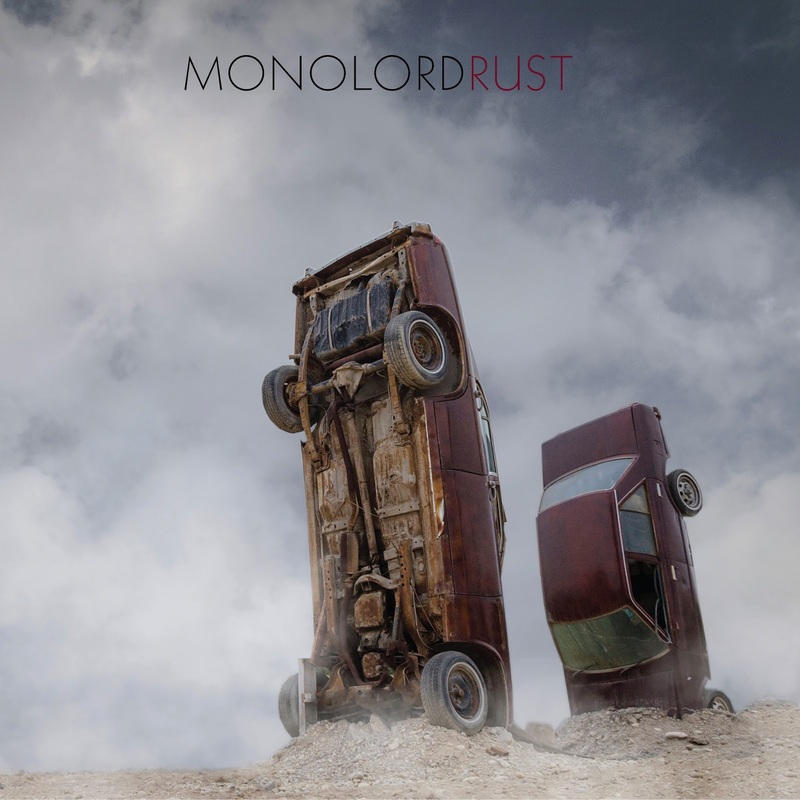 Vænir landed on countless Album of the Year lists in 2015, and Rust is poised to open an entirely new range of possibilities for Monolord. The first single "Blowin' Smoke" by George Brigman (the 70s DIY hard rock version of Dead Moon's Fred Cole) previously launched via YouTube and Bandcamp. Dangerous Minds featured the previous collection, The Fourth Trip HERE. We’re back! And the hits just keep coming. For the fifth lysergic journey, we’ve assembled 10 heavy slabs of obscure rock the likes of which have never been seen before... not in this form anyhow. And as usual, the tracks from these impossibly rare records have all been fully cleared through the artists themselves. We’ve gone to great lengths to get the best possible master sources, the worst case scenario being an original 45. ‘Cuz it ain’t worth doing unless you do it right. That’s just the tip of the iceberg. 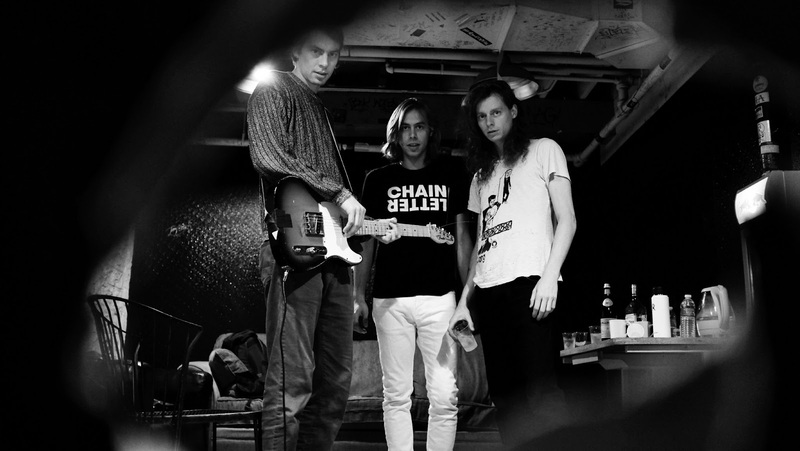 The other nine tracks continue the onslaught in typical Brown Acid form. 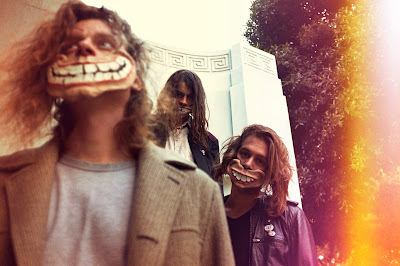 You may be familiar with George Brigman’s psychedelic punk masterpiece “Jungle Rot”, but you don’t know Split until you’ve heard the charmingly disjointed bedroom-fi production of “Blowin’ Smoke”. Finch sounds way out of time (1968) and place (Milwaukee) on the grungeadelic anthem “Nothing In The Sun”. 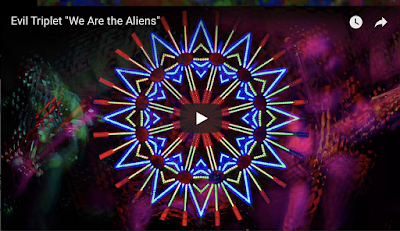 Cybernaut’s heavy prog - giving their Canadian cohorts Rush a run for their money - and Flasher’s “Icky Bicky” boogie prove beyond a shadow of a doubt that our neighbors to the north can rock with the best of ‘em. 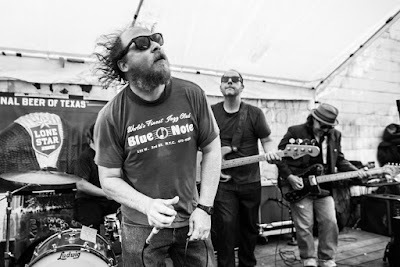 Meanwhile, Fargo’s hallucinogenic BBQ sauce soaked “Abaddon” and Mammoth’s fittingly beefy eponymous riff-monger continue the long line of heavies from the Lone Star State. Ohio based screamers Lance features members of Inside Experience, whom you might recall from the Third Trip. 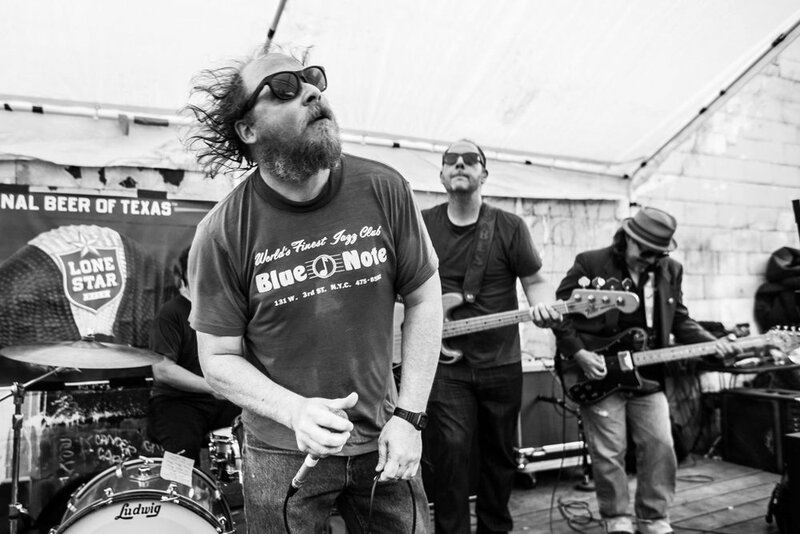 Zebra’s gritty rendition of “Helter Skelter” is most likely the way Charles Manson heard the song in his head. And finally, the mysterious and previously unheard Thor appears here exclusively and for the first time ever with their unknown 45 track “Lick It”. Many thanks to our pal Mike Vegh for turning us on to this one. Some of the best thrills of the Internet music revolution is the ability to find extremely rare music with great ease. But even with such vast archives to draw from, quite a lot of great songs have gone undiscovered for nearly half a century -- particularly in genres that lacked hifalutin arty pretense. Previously, only the most extremely dedicated and passionate record collectors had the stamina and prowess to hunt down long forgotten wonders in dusty record bins -- often hoarding them in private collections, or selling at ridiculous collector's prices. Legendary compilations like Nuggets, Pebbles, ad nauseum, have exhausted the mines of early garage rock and proto-punk, keeping alive a large cross-section of underground ephemera. However, few have delved into and expertly archived the wealth of proto-metal, pre-stoner rock tracks collected on Brown Acid: The Fifth Trip. 01. Captain Foam "No Reason"
02. George Brigman "Blowin' Smoke"
03. Finch "Nothing In The Sun"
"We figured that the last record came out so well that we shouldn't mess with the process: recorded at Sonic Ranch, engineered by Charles Godfrey, produced by Rob Halverson and myself, mixed at Halversonics Recording in Austin, and being mastered by Bob Weston at Chicago Mastering Service. 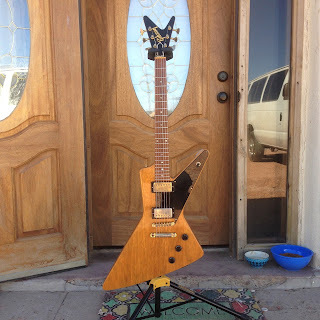 The guitar photo (see below) is a Gibson Futura that once belonged to Billy Gibbons that I got to use during recording." 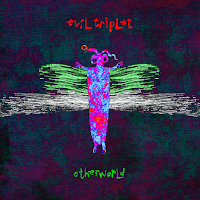 Otherworld is available on LP, CD and download on February 10th, 2017 via Super Secret Records. Facial launch West Coast tour dates later this month. Please see current shows below. 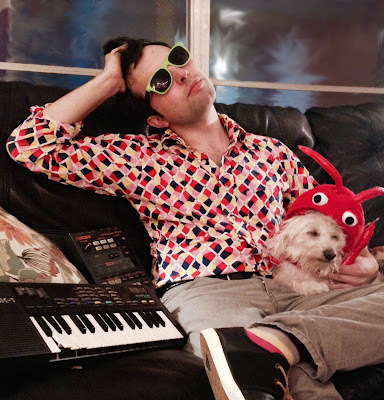 Consequence of Sound recently launched lead single "Animals" HERE. (Direct Soundcloud and Bandcamp.) Buzzbands.LA premiered the song "Black Noise" HERE.